MoJo Promotions stock a wonderful selection of personalised amplifier products, all intended to be custom printed with your logo. 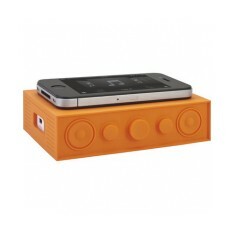 Amplifier Products provide a splendid way to show off your message. The goodwill created by personalised amplifier products is ensured to ensure your advertising needs are met. Our range includes - Blasting Bricks as well as many more. All of our merchandise can be personalized to suit your targets, please contact us for more information.